The discovery of a storage jar in Italy could link the creation of winemaking as far back as 4,000 BC. 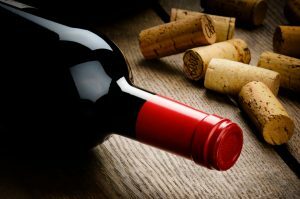 Currently, the initiation of wine growing and production in Italy has been dated to 1300 BC based on ancient storage containers and evidence of old wineries. This most recent proof that winemaking could have begun as far back as 4,000 B.C. was discovered by Dr. David Tanasi and his archaeology team while they were studying a site in Monte Kronio, located along the southwest coast of Sicily. The evidence was found in an item of pottery used to store drink. Traces of tartaric acid and sodium salt were found in residue lining the pottery interior. These are two common elements found in grapes and could prove to be over 6,000 years old, leading this to be the oldest indication of winemaking in Italian history. Discoverers are now attempting to decipher if the wine was red or white.